Are you looking for an informative Christian Filipino review that can help you decide if this is for you? 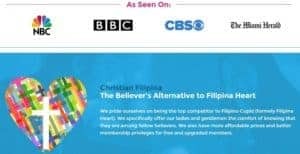 This Christian Filipina review will help you get to know the site even before signing up. For people who don’t know, Filipina women are known for being conservative, especially the Christian ones. This is just because of the way they were brought up and their beliefs as a Christian. Also, this may be the reason why some people are hesitating in joining online dating sites because it might ruin the values that they believe. 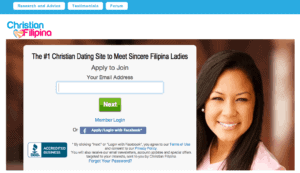 Fortunately, Christian Filipina online dating is here to cater to Christians out there. But is it any good? Let’s find out below. Christian Filipina is for single Filipino women Christians who want to meet someone who has the same beliefs as them. Here at Christian Filipina, you can get to meet women from the Philippines and even all over the globe. This dating website is known to be one of the best because of its truthful and honest online dating platform. What’s good about this is that this online dating site is here to help both Christian men and women to connect with other Christians all over the world. Majority of the members of Christian Filipina are serious about finding a friend and a partner that they can be with for a lifetime. So I’d say that you don’t have to worry about their intentions and sincerity majority of the time. But of course, there will always be scammers around so being extra cautious would be nice. Majority of the members of Christian Filipina are from Philippines, Australia, Canada, and United States. You will also find other users from different countries besides the ones mentioned. There are also other religions, including Church of Christ, Born Again, and Catholic. The number of foreigners who are travelling to the Philippines just to find a partner is high. This is why the CEO of the website decided to create this to help provide education, resource, and community for foreign men who are planning to go to the Philippines and meet women. 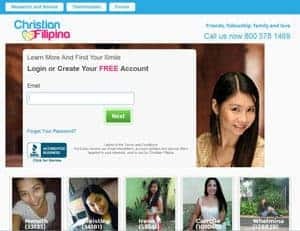 Creating an account on Christian Filipina is free. Once you have signed up and have completed your profile, you can start viewing others. You can view their profiles and photos as well. If you see someone that catches your attention, then sending them a message would be nice. You don’t have to worry much about navigating Christian Filipina because you can easily find all the things that you need. Whether you are new or an expert with any of the online dating sites today, the FAQ pages on Christian Filipina will surely be helpful. If you have questions about changing your password or your email, you can do so by checking the FAQ pages. Every question that you have regarding the site are stated there to make things easier for you. Now, if you can’t seem to find the answers to your questions, then you can inquire through their support page. Their staff can assist you within 24 hours after you have sent the inquiry. You can also browse through the Advice and Research page of Christian Filipina, where you can find articles that are helpful. There are tips on how you will deal with scammers, how you can see the right Filipina woman to date, and a whole lot more. One of the best things about Christian Filipina is that they always make sure that Christianity will be recognized in every single relationship. If you sign up and log in to this online dating site, you’ll notice that there’s a bible verse that changes daily. This is on the page’s right side. These bible verses will also help attract women who are having second thoughts of joining Christian Filipina. Christian Filipina takes safety and security seriously, though there are times where scammers tend to slip still. For people who don’t know, every application on the site is reviewed manually by the site’s staff. The reason behind this is because they want to protect every woman against men who are here just to deceive them. Of course, Christian Filipina also ensures that they are protecting their male members from women who joined the site to scam men. A member will only be able to send messages and winks once the account gets approved. This helps the scammers and spammers to be avoided at a bare minimum. Just like in any other online dating websites, there are also some scam incidents at Christian Filipina. Typically women scammers are asking for financial assistance because of different reasons. It may be because a family member is sick or there is an opportunity abroad, and they need money to be able to pay for the expenses. The reason is endless, and they don’t run out of ideas. Women can also fall victims to men scammers. This just means that no matter what your gender is, you can still become a victim of scammers. 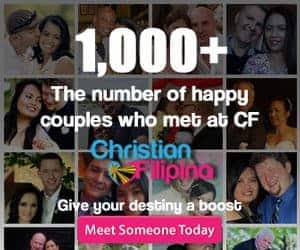 If you are a Christian who’s been dreaming of having a Christian partner, then joining Christian Filipina would be best. Having the same values with your partner will help you to build a stronger relationship. Christian Filipina will help you find the right partner with the same values as you.